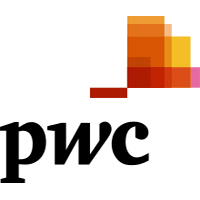 PricewaterhouseCoopers Limited (PwC) invites eligible candidates to indicate their interest to provide consultancy Services as a Health Technical Specialist to the Field Support Services Project (FSSP) Tanzania. The Health Technical Specialist will provide technical support and advice to Canada in the development and implementation of a portfolio of projects in the health sector. This includes, but is not limited to advice in analysis, Planning, Design, management, monitoring and coordination of Canada's health programming and policy dialogue in Tanzania. Interested candidates should obtain detailed description of these services by sending request email to procurement@fssptz.org. Requests for further information will be received up to three working days prior to the last submission date. Any request received later than that may not be responded to. Last submission date for the expression of interest for this position is 24 November 2017. Late Expressions of Interest shall not be accepted for evaluation, irrespective of the circumstances.